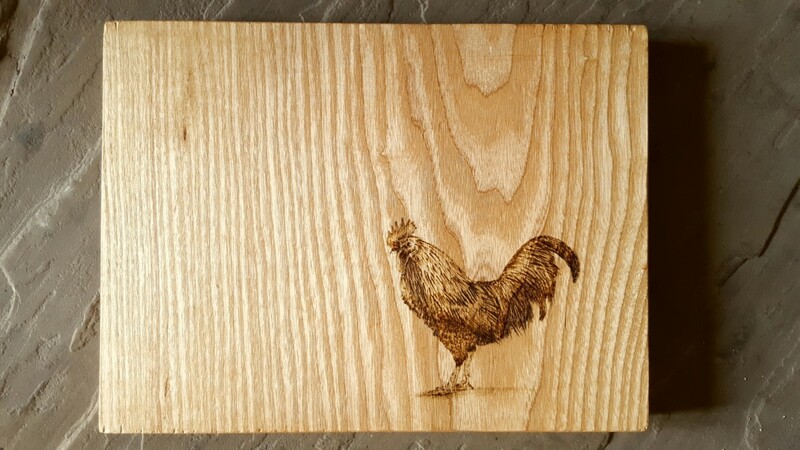 Pictured examples in this article were made by Chris Ewing from Charred Wood www.charredwood.weebly.com using our ash boards. 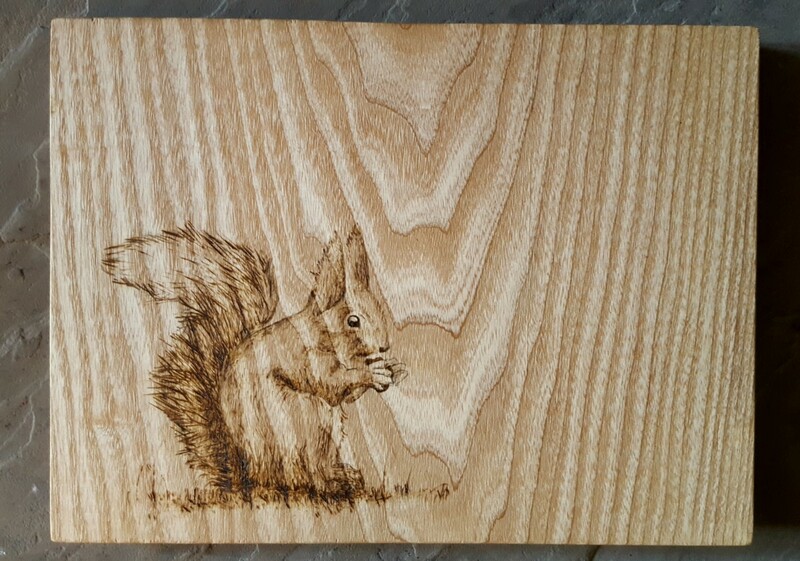 Pyrography or pyrogravure is the art of decorating wood or other materials with burn marks resulting from the controlled application of a heated object such as a poker. A large range of tones and shades can be achieved. Varying the type of tip used, the temperature, or the way the iron is applied to the material all create different effects. After the design is burned in, wooden objects are often coloured. Light-coloured hardwoods such as sycamore, basswood, beech and birch are most commonly used, as their fine grain is not obtrusive. However, other woods, such as ash, maple, pine or oak, are also used. Pyrography is also applied to leather items, using the same hot-iron technique. Leather lends itself to bold designs, and also allows very subtle shading to be achieved. The process has been practiced by a number of cultures including the Egyptians and some African tribes since the dawn of recorded history. Pyrographer Robert Boyer hypothesises that the art form dates back to prehistory, when early humans created designs using the charred remains of their fires. It was known in China from the time of the Han dynasty, where it was known as “Fire Needle Embroidery”. 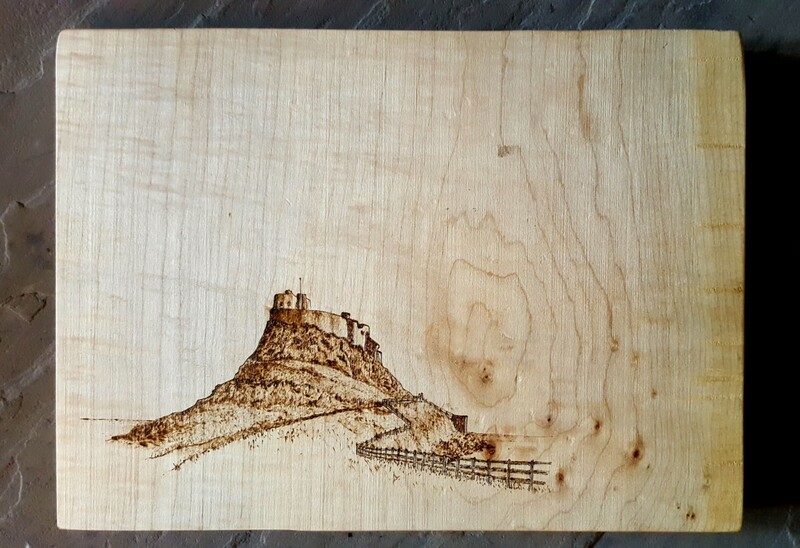 During the Victorian era, the invention of pyrography machines sparked a widespread interest in the craft, and it was at this time that the term “pyrography” was coined (previously the name “pokerwork” had been most widely used). In the late 19th century, a Melbourne architect by the name of Alfred Smart discovered that water-based paint could be applied hot to wood by pumping benzoline fumes through a heated hollow platinum pencil. This improved the pokerwork process by allowing the addition of tinting and shading that were previously impossible. In the early 20th century, the development of the electric pyrographic hot wire wood etching machine further automated the pokerwork process, and Art Nouveau pyrographic gloveboxes and other works were popular in that era. 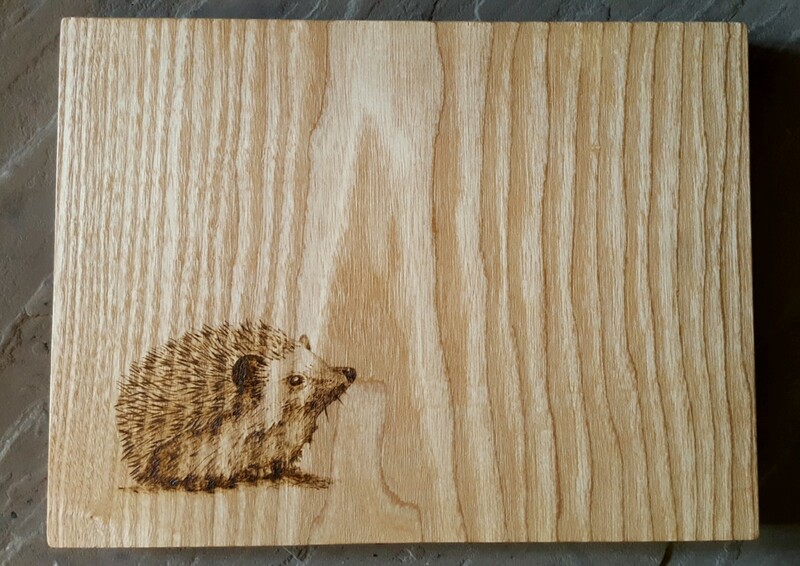 Pyrography is a traditional folk art in many parts of Europe, including Romania, Hungary and Flanders, as well as Argentina and other areas in South America.